We provide ongoing support to seniors through facilitating seniors-led programs and services aimed at promoting better health, wellness, and social connectedness. Information sessions on health, wellness, healthy eating, Osteoporosis, management of chronic conditions, wills and the law, polypharmacy, etc. 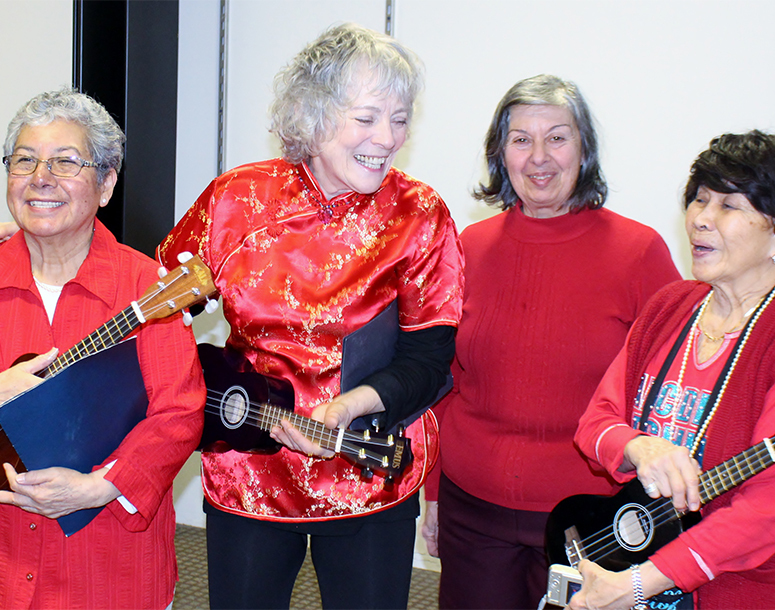 Ukulele Group – a seniors led group that performs voluntarily to other seniors in the community, and in hospital settings. Assisted door-to-door transportation services in the Toronto-area to seniors 55+ and adults with disabilities. Available to those living within East York (between Eglinton Ave. to Danforth Ave., and Bayview Ave. to Victoria Park Ave.). Fee applies. Hours Service runs from 8:00am-5:00pm Monday-Friday. Sessions on health, wellness, healthy eating, Osteoporosis, management of chronic conditions, wills and the law, polypharmacy, etc. We offer an 8-session support program for grandparents caring for grandchildren under the age of six years.